The Alberta Basketball Association has given $15,000 to Kid Sport to help provide youth across the province with more opportunities to play basketball. The donation is being made through the Phil Allen Memorial Fund, honouring the memory of a dear friend of ABA who was a pillar of amateur sport in Alberta. 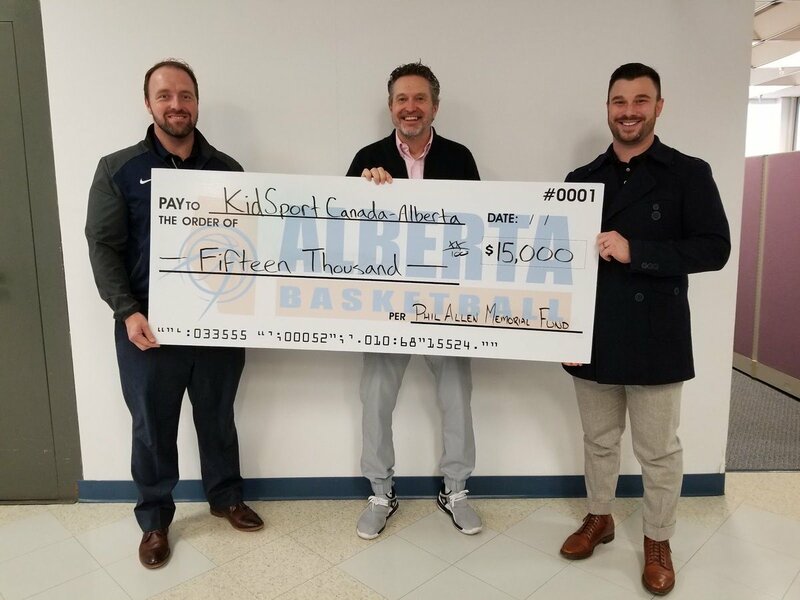 'The Alberta Basketball Association is grateful for the opportunity to partner with KidSport and their dedication to providing young people access to sport activities,” says Paul Sir, Executive Director of ABA. “To be able to accomplish this endeavor by paying tribute to Phil Allen through the scholarship fund founded in his memory makes this that much more special. Over a coaching career that spanned nearly three decades, Phil Allen served as head coach of the men’s basketball teams at SAIT, MacEwan and Lakeland College. Combined, his teams won 10 ACAC titles while picking up eight medals, including two gold, at the CCAA championships. He set the record for most wins (805) by a men's basketball coach in CCAA history and holds the record for most games coached in men’s ACAC history. Phil is enshrined in the ACAC Hall of Fame and was inducted into the Alberta Sports Hall of Fame last year. He passed away in 2016. KidSport is a national not-for-profit organization that provides financial assistance for registration fees and equipment to kids aged 18 and under. Nationally, KidSport is comprised of a network of 11 provincial/territorial KidSport chapters and 166 community KidSport chapters. Since its creation in 1993, over 750,000 kids across the country have been given the chance to play sport through KidSport grants and sport introduction programming.